Kittisford Barton is a winner at the Tourism Awards! Kittisford Barton wins Silver at the 2017/2018 Tourism Awards! On the Somerset-Devon border Kittisford Barton is a stunning glamping site, with magnificent views and access to a whole wealth of countryside including the Blackdown Hills and the Quantock Hills and Exmoor National Park. We are so proud to announce that Kittisford Barton has won Silver at this year’s Bristol, Bath and Somerset Tourism Awards. This year saw 111 entries from across the county, so to have even made the finalists was a huge achievement. It meant that whatever happened we were guaranteed at least a Bronze medal, so to have won Silver was extra special! 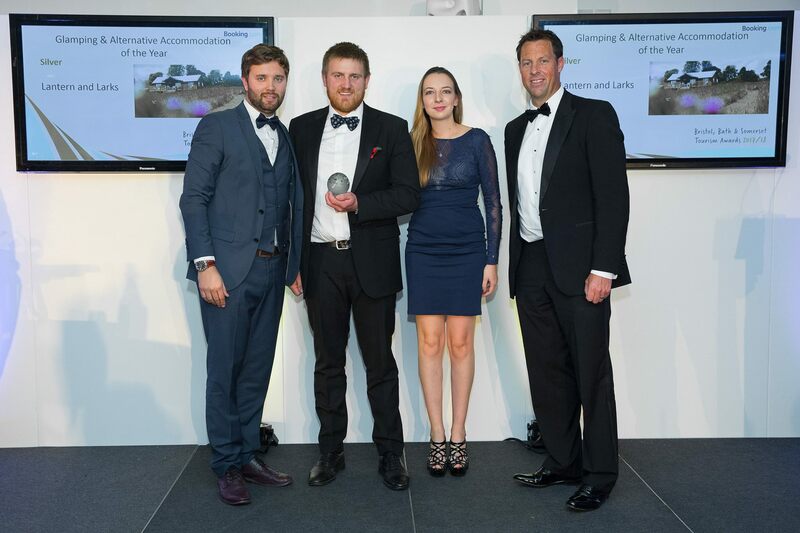 Of all the 24 categories in this year’s running, our Somerset site excelled at the Glamping Business and Alternative Accommodation of the Year grouping and it’s with huge pride that we thank John, the farmer and site manager at Kittisford Barton. He goes out of his way to ensure a happy holiday for all who come to stay and he’s done brilliantly this season. Thanks to our success in the Bristol, Bath and Somerset Tourism Awards, we are automatically being considered for the South West Tourism Excellence Awards as well. Glamping, especially somewhere as lovely as Kittisford is a perfect way to relax, unwind and sink back in to nature. If you want to give it a go yourself, take a look at our website here and plan a getaway in the country. Huge congratulations to all of our glamping team! You earned it.